Preheat oven to 325°F. Spray a 1-quart casserole with cooking spray. Combine turkey and hot pepper sauce in small bowl. Add softened cream cheese, ranch dressing and ½ cup cheddar cheese. Blend well. 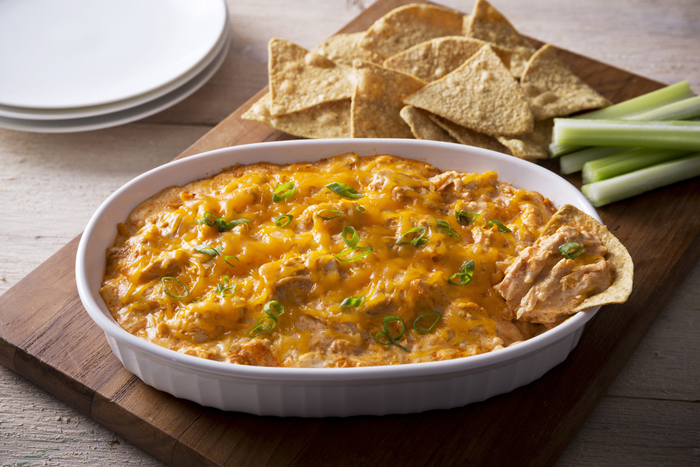 Fill casserole with turkey mixture and top with remaining ½ cup cheddar cheese. Bake 20 to 30 minutes or until golden brown and temperature reaches 165°F. Serve with tortilla chips. * *Tortilla chips are not included in nutritional information.